How can you address social and ethical issues in public engagement? Social and ethical issues are present in everything we do. No matter how large or small the scale of your work, or how major or minor the impact, the people you engage with will have views about the social and ethical issues raised by your research. The chances are that many of those views will differ significantly from your own. In some cases the process of engaging with the public, as well as the content of your research may raise social or ethical issues. For example, if you choose to hold an engagement activity in the evening you may unintentionally exclude those who care for children or elderly relatives - primarily women. 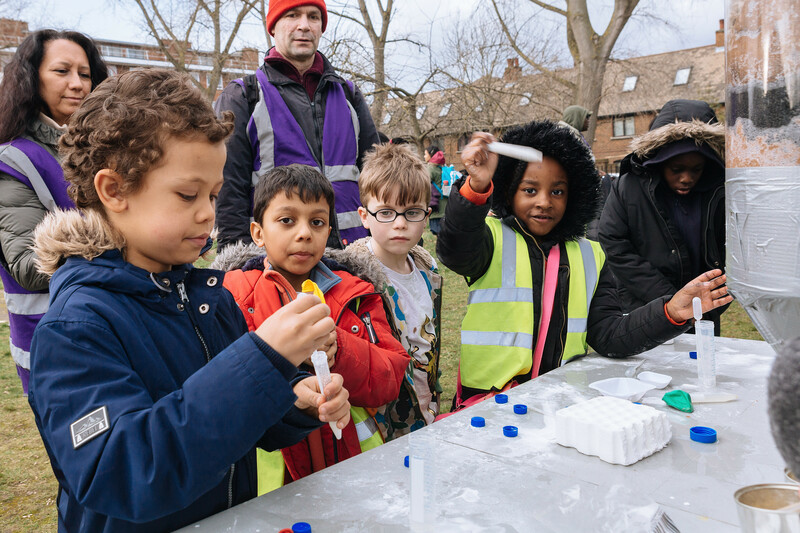 When developing any public engagement activity it is important to be aware of any issues that may affect your target audience, and to prepare yourself to deal with them sensitively. You may also be interested in addressing these issues directly, exploring the values and opinions held by you and by the people who engage with your research. Where do these differ and why? How do background, experience and knowledge shape our values and opinions? What are the applications of my research in society? What societal changes might occur as a result of these applications? What are the knock on effects of these changes? What impact might the application of my research have on different members of society? Who might be sensitive to these issues? If there are positive impacts on certain members of society, are there also negative impacts on other groups as a result? Does it raise questions associated with morality, legality, equality and fairness? Are there any associated religious, political, cultural, gender-based or social class related issues? If it is difficult for you to imagine applying these questions to your own research, take this scenario as an example: Imagine that you are a researcher in nutrition and health. You have discovered that active play and exercise is beneficial for the health and development of children and that increased participation in structured, extra-curricular sport will lead to a reduction of cardiovascular disease and obesity. You would like to engage family groups with your research and discussions about the value of exercise. The above example should begin to indicate the range of deeply personal experiences that can be related to any topic and highlight. It's important to fully appreciate the different perspectives that each group may have on your research. Discussions that directly address ethical and social issues can be highly engaging for audiences. This approach can helping people to see the relevance of new research to their own lives, as well as consulting about or exploring the values held by different groups and individuals. Even if you don't choose to hold a discussion about ethics, these kinds issues are likely to arise in some form. Be aware that some members of your audience might have considerable investment in the subject matter. Think about their reasons for coming. It may be that they have chosen to attend because they have personal experience and background knowledge of the subject matter e.g. an engagement activity about genetic inheritance of Cystic Fibrosis, may well attract audience members with a family history of the disease. Be sensitive to this and try to think of the issues or questions that may come up in advance. Be prepared to be confronted with these issues, and others that you not have considered. It's helpful to spend some time reflecting on your own motivations and ethical stance. Think about what has shaped it, and how it might differ from those you engage with. Be wary of presenting your own opinions as fact, and be respectful of all opinions. Retain an element of objectivity so others feel they are able to share their own opinions freely. Engagement can be an opportunity for dialogue and learning between people from all walks of life, it's important to take advantage of these opportunities no matter how challenging some people’s views may be. Can you think of another argument against your view? Is there another argument for what you believe? What affect would that have on other people? Set a framework for the discussion. Whatever your planned engagement activity may be, consider ways to set ground rules for mutual respect and tolerance. Ensure that criticisms are aimed at arguments, not people. Don’t allow people to personalise the issues – this may lead to defensiveness and a feeling of being attacked. Accept that there may be multiple perspectives and encourage the discussion of alternate views. Allow space and opportunity for all participants to air their views – don’t allow one person or group to dominate. But, don’t force people to speak up if they don't want to, there's value for some people in simply sitting and listening to the comments. Ensure that you have mechanisms in place to diffuse heated situations. Use exemplars, anecdotes and facts from your research to present potential scenarios and implications, in order to draw out further questions. Look for the good news of your research and its implications - ethical debates don’t have to focus purely on the negative. Lessons learned by people working intensively in the practices of researchers in ethics. Designed to be used in conjunction with the guide to ethical principles and practice.